Discussion in 'iPhone 5' started by Ericonlinetrade, Nov 6, 2016. My iPhone 5 is now been locked with the screen stated "iPhone is disabled, try again in 24,521,770 minutes", the phone was never been syn with itunes and icloud before and I forgot the the passcode too. I have tried to connect the phone to itunes but could not be recognized. Thus please advise how problem could be solved? Thanks. Skip the first one (iTunes), try iCloud, and if that doesn't work, recovery mode. You'll end up with an iPhone set back to factory settings. Well Eric just in case that doesn't work for you. 24,521,770 is only just over 46.6 years you could wait until then to try again. Thanks for your advice. Since there have lots of photos & videos inside the phone & they were not back up in iCloud or ITunes, so how could I get those information before the recovery mode? Or could I get back the passcode input screen then I could retry the passcode again? You won't be able to bypass the password screen in order to access the content on the iPhone. Unfortunately there's no way to backup the iPhone before it's erased as creating a backup requires that the iPhone be unlocked first. Hi Eric sorry to tell you, that there might also be another problem. 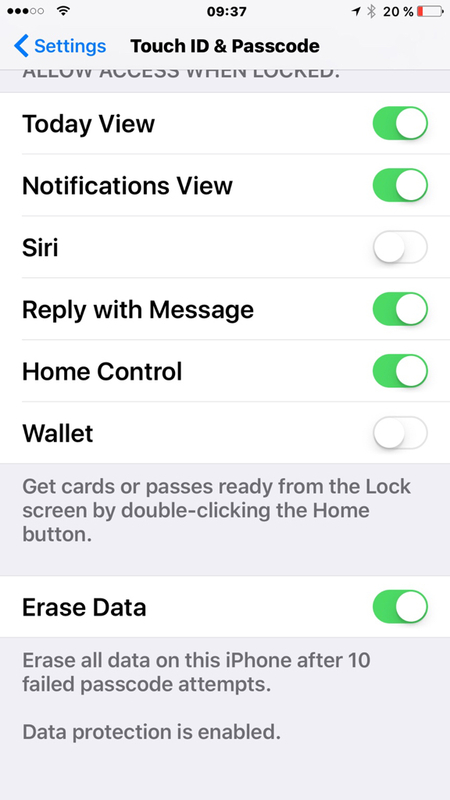 There is also a setting to erase all data after 10 false attempts at at entering your password, it COULD be your data is gone forever.